Surrounded by restaurants, cafes, boutiques, department stores and Melbourne’s funky laneways. Punt Hill Flinders Lane offers you the complete Melbourne City Experience on your doorstep. A short stroll to Melbourne’s famous tourist attractions, the MCG,Melbourne Federation Square, Regent Theatre, South gate, Melbourne Casino, National Tennis Centre, Melbourne Exhibition Centre and Telstra Dome. To see a list of all of Punt Hill’s serviced apartments in Melbourne click here. Ibis Styles Melbourne The Victoria Hotel is a large discount hotel which is perfectly situated right in the heart of the Melbourne CBD. Budget conscious business and leisure travellers will appreciate not only the wide selection of accommodation rooms and excellent hotel facilities but also the superb city location which places you a short walk from shopping at Collins Place and the Bourke Street mall, Flinders Street train station, Federation Square, Southbank and the Crown Casino entertainment complex. When you stay at the Hilton Melbourne South Wharf in Melbourne you will be able to make use of the many guest facilities, which includes the lounge bar, business centre, conference centre, currency exchange services, direct internet access, disabled facilities, faxing facilities, gym & fitness equipment, lift, restaurant, room service, secretarial services, tour desk, 24 hour reception, babysitting service and daily housekeeping. Also all children aged 10 years or younger are entitled to FREE breakfast every morning. Fantastic Melbourne location, excellent facilities, well appointed guestrooms and impeccable service is something you can count on at The Hilton Hotel Southbank. The 5 star Quay West Suites and Apartments are located in the ultimate Melbourne location, right in the heart of the vibrant Southbank Precinct. This puts this luxury Melbourne accommodation within easy walking distance of the Melbourne CBD, Federation Square, Crown Casino, Melbourne Exhibition Centre, Royal Botanic Gardens, Victorian Arts Centre, public transport and a multitude of restaurants, cafes and shops. With superbly furnished apartment suites and an array of exceptional guest services the Quay West Suites Melbourne is perfect for the corporate business executive or the romantic couple looking to spoil themselves. For outstanding quality and exceptional customer service the next time you stay in Melbourne look no further than the Sebel Suites & Apartments Melbourne. Situated in the heart of the Melbourne CBD on Collins Street The Sebel Melbourne is only a short walk from the Bourke Street Mall, Southbank, Crown Casino, Telstra Dome and the Docklands Precinct. Hidden behind the historic facade of The Sebel Melbourne are modern and stylishly renovated accommodation suites complete with kitchen facilities, A/C, DVD player, in-house movies, private laundy and much, much more. Luxury hotel suite accommodation in Melbourne does not get any better then The Sebel Melbourne. Overlooking the beautiful Yarra River the Clarion Suites Gateway Melbourne is a 4 ½ star, all suite apartment hotel, perfectly located in the heart of Melbourne CBD. The Clarion Suites Gateway is situated close to the Crown Entertainment Complex, Melbourne Exhibition Centre, MCG, Telstra Dome and the Southbank shopping and restaurant district. With significantly more space than traditional hotel rooms, our superbly appointed studio, 1 and 2 bedroom apartment suites provide you with more room to relax and admire Crown's spectacular fire display on the banks of the Yarra from your apartment. The Oaks on Collins Apartments Melbourne comprises superbly appointed, self contained New York style studio apartments, each featuring contemporary design and state of the art kitchen and laundry facilities. The hotel facilities at the Oaks on Collins Melbourne include a cafe and food court, swimming pool and gymnasium. These quality Melbourne apartments are conveniently situated in the heart of the city centre, directly opposite the Rialto Towers. Melbourne’s vibrant restaurant, entertainment and shopping scene is immediately on hand with Bourke Street, Southgate, the Crown Entertainment complex and Colonial Stadium only a short stroll away from the Oaks Apartments. Kingsgate hotel Melbourne offers budget accommodation in the heart of the Melbourne CBD. The Kingsgate Hotel Melbourne is conveniently located close to the Melbourne Airport, Melbourne Casino, Southbank, Telstra Dome, Melbourne Aquarium, Rialto Observation Deck, Spencer Street Railway Station, the beautiful Yarra River and is only a 2 mins walk to an abundance of shops and restaurants. Darling Towers has become established as the leading Melbourne supplier of apartments accommodation. With over 250 Self contained 1, 2 and 3 bedroom apartments, townhouses and residences in around South Yarra Melbourne,Collins St Melbourne and Queen St Melbourne.Darling Towers have located all their apartments with the corporate world in mind. The Luxury 4 star fully self contained apartment accommodation at the Quest Flemington combines great guest facilities and spacious family sized apartment living with a convenient Melbourne location. The Quest Apartments Flemington are ideally located directly opposite the Melbourne Show Grounds and the Flemington Racecourse, home of the world famous Melbourne Cup. The Quest Flemington is also only 4kms from the Melbourne CBD and is surrounded by a number of restaurants, cafes and shops. With such a fantastic location, swimming pool, tennis court and BBQ facilities the Quest Apartments in Flemington is sure to make you feel right at home. The Blackman provides travellers with discount accommodation in St Kilda Road, complete with a range of modern amenities such as business centre, conference centre, direct internet access, disabled facilities, guest laundry, gym & fitness equipment, lift, restaurant, room service, tour desk, airport shuttle and 24 hour reception. A destination perfect for the business or leisure traveller, The Blackman Hotel offers guests a blend of exclusive five-star accommodation, hospitality and first class facilities in a very convenient St Kilda Road, Melbourne location. Adelphi Hotel and Spa provides travellers with discount accommodation in Melbourne CBD, complete with a range of modern amenities such as lounge bar, business centre, conference centre, direct internet access, faxing facilities, guest laundry, gym & fitness equipment, lift, massage, restaurant, room service, sauna, spa, outdoor swimming pool, tour desk, bbq, massage room, security, 24 hour reception, baby cots available, daily housekeeping and beauty salon/day spa. Centrally located, The Adelphi Hotel & Spa is just a short walk from Flinders Street train station, Federation Square and all of the sights and business centre of the Melbourne CBD. The well appointed apartment accommodation provided by the Oaks Pinnacle in South Yarra is second to none and has been specifically designed to make you feel right at home in Melbourne. The property has numerous guests facilities for your convenience including direct internet access, lift, secretarial services, tour desk, bbq facilities for guest use and baby cots for families. For guests wanting to soak in Melbourne panoramas from a different vantage point, the roof top terrace at the Oaks Pinnacle Apartments is the ideal destination and the property is also within minutes walking distance to public transport train and tram stations. Aston Apartments are located 3.5km from Melbourne CBD and are perfectly located close to all public transport, trendy restaurants, nightclubs, bistros, bars and quality shops. While apartments in St Kilda are minutes walk to St. Kilda beach and Albert Park Lake, South Yarra apartments are nestled in a quiet residential area and a short stroll away are Chapel St, Bridge Rd and Toorak Rd shopping precincts and factory outlets. The Abacus Apartments South Yarra are Melbourne’s newest and most innovative serviced apartments. Located in the premium part of South Yarra, these state of the art apartments feature many luxury appointments, including a fully equipped kitchen with leading brand appliances, dishwasher, granite benchtops, glass splashbacks, imported leather furniture, flat screen television, DVD, air-conditioning and much more. The Abacus Apartments is committed to excellence in accommodation and provide the ideal luxury serviced apartment accommodation in Melbourne’s trendy South Yarra. The Breakfree Heritage On Little Bourke Apartments Melbourne are situated in a unique and heritage listed building which has been recently renovated. These 4 star, fully self contained apartments are right in the heart of the Melbourne CBD and have all of Melbourne's major attractions at your door step, including the MCG, Telstra Dome, restaurants, theatres, shopping, Crown Casino, Federation Sqaure, Southbank and Chinatown. All of the Breakfree Heritage Apartments feature a separate bedroom with queen size bed, large living area, modern fully equipped kitchen, separate bathroom and cable TV. Excellent Melbourne apartment accommodation for corporate and leisure travellers. Travellers who choose to stay at the Sebel Melbourne Docklands will find a wide range of discount accommodation in fully self contained apartments. This apartment complex comes complete with a range of modern amenities such as disabled facilities, fitness equipment, lift, indoor swimming pool, 24 hour reception and baby cots for families. Business facilities at the Sebel Melbourne Docklands include WiFi internet access in all apartments, a business centre with computer access, photocopying services, printing services, laminating services, secretarial services, faxing facilities, boardroom hire and conference facilities. The brand hew 1 and 2 bedroom apartment accommodation at the Aria Southbank is fully self contained and is perfectly located in the heart of triving Southbank precinct of Melbourne. The Aria Apartments are beautifully furnished and offer spacious living areas, separate bedrooms, air conditioning, plenty of natural light, TV, DVD, modern fittings and furnishings, kitchen with microwave, refrigerator, dishwasher plus laundry facilities. These discount Southbank apartments are just a short stroll to numerous restaurants, cafes, Crown Casino, Melbourne Exhibition and Convention Centre and provide easy access to the CBD, Docklands and freeway. The Quest South Yarra Mews offers very spacious two storey townhouse apartments which are ideal for families, relocations and couples requiring luxury accommodation in Melbourne with that extra room to move around freely. These South Yarra apartments feature a fully equipped kitchen and laundry, separate lounge and dining area, dishwasher, wall oven, microwave, stereo, VCR/DVD, hairdryer, 2 telephones and voicemail service. The Quest South Yarra Townhouses also include 2 balconies and/or courtyards, landscaped surroundings and up to 2 free undercover secure car parking spaces. Fantastic apartment accommodation close to the shops, restaurants and exciting buzz of South Yarra's Torrak Road and Chapel Street. Situated diagonally opposite the newly completed Southern Cross Railway Station where the Airport Shuttle Bus terminal is the Quality Hotel Batman's Hill Melbourne is the most convenient place to stay in the Melbourne city centre. Located on Collins the Quality Hotel and Apartments Batmans Hill is within close proximity to the Melbourne Aquarium, Melbourne Exhibition and Convention Centre, Crown Casino Entertainment Complex, Southbank, Telstra Dome and the vibrant Docklands precinct. All of the hotel rooms and apartments at the Quality Hotel Batmans Hill are stylishly appointed and have broadband internet acess & video on demand. Great value accommodation in the heart of the Melbourne CBD for either the tourist or business traveller. BRAND NEW!! OPENING 1 SEPTEMBER 2006!! Designed to appeal to business and leisure travellers alike, the brand new Oaks on Market is within easy access to all that the city is famous for: shopping, theatres, food and wine, while being close to the legal and financial precincts. This Melbourne hotel / motel offers three and half star luxury accommodation in St Kilda, Melbourne. The Crest on Barkly is conveniently located right behind the NO. 1 St Kilda Road Melbourne, close to the city centre, Southbank, Crown Casino, Arts Centre,Luna Park, Toorak Rd, Chapel Street and the famous restaurant strip of Fitzroy Street, St Kilda. The Grand Prix circuit, Albert Park Lake and Golf Course are all at your doorstep. Accommodation in this delightful Melbourne Hotel comprises Sauna, Cocktail Bar, Undercover parking, Off Street Coach parking, A-la-carte dining room, Function and conference rooms. Spacious and luxuriously appointed hotel rooms are equipped with all the facilities required to ensure a very pleasant stay. City Edge Hotel Serviced Apartments are located in the trendy and picturesque suburb of East Melbourne. These Melbourne apartment are ideal for both business people and leisure travellers. They are conveniently located within walking distance of the MCG, Melbourne Park tennis centre, public transport and the Melbourne CBD. What perfect Melbourne apartment accommodation !!! City Edge on Elizabeth Apartments are located on the northern edge of the Melbourne CBD close to the Queen Victoria Market, melbourne Central, RMIT University and Melbourne University. Newly opened City Edge on Elizabeth offers are range of discount studio, 1 & 2 bedroom apartments that have been furnished with everything that a busy corporate executive or holiday leisure guest would want while staying in the heart of the Melbourne city. The Rydges on Swanston Melbourne is a boutique, luxury hotel accommodation located in Melbourne's best-known cosmopolitan district, Carlton. With friendly service, quality hotel facilities and discount rates the Rydges on Swanston Hotel is the ideal hotel accommodation in Melbourne for business or leisure travellers who want to stay close to the Melbourne CBD, MCG, Telstra Dome, Melbourne Museum, Melbourne University, restaurants, cafes and shops. The Mantra on Russell provides all sorts of travellers with discount accommodation in the heart of the Melbourne CBD. It comes complete with a range of modern amenities such as lounge bar, business centre, conference centre, direct internet access, disabled facilities, faxing facilities, gym & fitness equipment, lift, restaurant, room service, sauna, spa, indoor pool, 24 hour reception and daily housekeeping. This apartment hotel offers guests a stylish haven located in Melbourne's bustling inner city, ideal for business travellers, holiday makers, short-term and long-term guests. When you stay at the Holiday Inn Melbourne on Flinders in Melbourne you will be able to make use of the many guest facilities, which includes the lounge bar, business centre, currency exchange services, direct internet access, disabled facilities, guest laundry, gym & fitness equipment, lift, restaurant, room service, sauna, outdoor swimming pool, tour desk, babysitting service and daily housekeeping. What ever the occasion or reason for your stay, the friendly professional staff will be sure to make you feel very welcome at the Holiday Inn Melbourne on Flinders. The Bayview Eden Melbourne provides travellers with discount accommodation in Albert Park, complete with a range of modern amenities such as business centre, conference centre, currency exchange services, direct internet access, faxing facilities, free car parking, guest laundry, fitness equipment, lift, massage, restaurant, room service, sauna, spa, indoor pool, 24 hour reception and daily housekeeping. Staying at the Bayview Eden Melbourne Hotel you will enjoy elegance, service and the ultimate in comfort and convenience. When you choose to sleep at the Bayview On The Park in Melbourne you will be able to make use of the many guest facilities, which includes the lounge bar, business centre, conference centre, direct internet access, disabled facilities, faxing facilities, guest laundry, gymnasium, lift, restaurant, room service, secretarial services, outdoor swimming pool, tour desk, 24 hour reception and daily housekeeping. At Bayview On The Park you will be welcomed with warm smiles, friendly and efficient service, as well as being positioned close to all of the very best things about Melbourne and the Albert Park precinct. Shoan Heights Apartment Hotel is located in the middle of Melbourne’s CBD and is surrounded by numerous theatres, restaurants, cafes, galleries, department stores, parks and sporting venues, including the MCG, Telstra Dome and Melbourne Park Tennis Centre. Also Melbourne’s FREE City Circle tram stops right nearby, giving you easy access to Melbourne’s extensive tourist attractions. The Docklands Watergate Apartments are conveniently located only a short walk away from the Melbourne CBD, Telstra Dome Stadium, restaurants, cafes, bars and shops and also only a short tram ride from the MCG, Federation Square, Southbank, Crown Casino, theatres, galleries and Melbourne’s famous Queen Victoria Market. All of the luxury accommodation at the Docklands Apartments at Watergate have been stylishly appointed and feature a fully equipped kitchen, air-conditioning, private laundry and a private balcony with spectacular city or Docklands water views. The full business centre complete with FREE broadband internet access make the Docklands Apartments at Watergate the ideal corporate Melbourne accommodation. The Adara Richmond offers travellers easy access to the major sporting and entertainment venues in Melbourne including the famous MCG, Hisense Arena and Rod Laver Tennis Arena. Staying at the Adara Richmond Apartments also places you close to the cosmopolitan shopping, factory outlets and restaurant precinct on Bridge Road and Swan Street. A trip into the CBD is also just one stop away by train, or a leisurely tram ride. Located in the heart of the Melbourne CBD the clarion suites Milano Apartments Melbourne has an enviable city position only minutes walk from shopping in the Bourke Street Mall, Queen Victoria Market or Carlton Gardens. With Melbourne and RMIT universities close by and a range of brand new 1 and 2 bedroom apartment accommodation the Milano Serviced Apartments is the ideal place to stay for both the busy corporate executive and the family looking for a holiday destination in Melbourne. The Grand Harbour Accommodation Docklands provides luxury fully self contained apartment accommodation in Melbourne only a short walk from the city centre. Both holiday makers and business travellers will love the waterfront location of the Grand Harbour Accommodation Docklands as well the convenient access to nearby restaurants, Telstra Dome Stadium and the new Southern Cross train station. With magificent city and water views this luxury Docklands apartment accommodation has everything to make your next stay in Melbourne one to remember. Nova StarGate Apartment Hotel Melbourne provides business and holiday travellers to Melbourne with a choice of standard hotel rooms as well as fully self contained 1 & 2 bedroom family sized apartments in the Melbourne CBD. The Nova StarGate Apartment Hotel Melbourne are within easy walking distance to the Queen Victoria market, Melbourne Central shopping, public transport, restaurants and parklands. When you stay at the Oaks on William in Melbourne you will be able to make use of the many guest facilities, which includes the business centre, guest laundry, gym & fitness equipment, lift, 24 hour reception, baby cots available and daily housekeeping. Oaks on William is located on the free City Circle tram route, opposite Flagstaff train station and within walking distance to a myriad of trendy cafes, restaurants, bars and nightlife hot spots, with popular Melbourne attractions like the Queen Victoria Market, Melbourne Zoo, Etihad Stadium, Dockalnds waterfront precinct, Crown Casino and the Melbourne Cricket Ground just a stone's throw away. The Apartments Melbourne Domain Docklands have been designed and built with luxury and quality in mind. These Melbourne apartments are situated in the heart of the new Docklands precinct, which is right next to Telstra Dome and on the edge of the Melbourne CBD block. With an wide array of fine restaurant dining situated along the waterfront, lovely city and harbour views from your private balcony and Free undercover security car parking the Apartments Melbourne Domain Docklands is the perfect 2 bedroom apartment accommodation for either the business, holiday or relocation. When you stay at the Park Regis Griffin Suites Melbourne you will get fantastic apartment accommodation close to the Albert Park grand prix track and golf course, the Fitzroy St restaurants and shops in St Kilda, the Melbourne CBD and the St Kilda Road business district. The Park Regis Griffin Suites Melbourne are ideal for both short and extended corporate and leisure accommodation in Melbourne. Have a look at the special discount apartment accommodation rates available for online reservations. Southbank Apartments provides both business travellers and holiday makers with affordable 1, 2 & 3 bedroom self contained serviced apartments that are ideal for leisure, relocation & corporate accommodation. Positioned close to the Melbourne CBD these Southbank Apartments set a new standard of excellence in the Melbourne serviced apartment market. The Pegasus Apartment Hotel is ideally situated in the heart of the Melbourne CBD and has numerous guests facilities for your convenience including direct internet access, lift, 24 hour reception, baby cots available and daily housekeeping. Also in 2013 the Melbourne Pegasus Apartment Hotel will be extending facilities to include a bar, cafe, restaurant, large spa flowing into a 25m heated indoor pool, gymnasium, self service guest laundry, executive SoHo office suites and a guest lounge on level 20 with large outdoor terrace area. Lygon Lodge Studio Apartment provides travellers with discount accommodation in Carlton. It comes complete with a range of modern amenities such as direct internet access, faxing facilities, free car parking, guest laundry, lift, tour desk, 24 hour reception, interconnecting rooms, luggage storage, baby cots and daily housekeeping of all rooms. The Carlton Lygon Lodge Studio Apartments is ideally positioned close to the numerous restaurants, boutique shops and cafes of Lygon Street in Cartlon. The Como Melbourne is perfectly situated in the heart of Melbourne's famous restaurant, cafe and shopping district of South Yarra. Offering 5 star luxury accommodation and superior customer service and attention to detail The Como Melbourne is a unique and vibrant boutique hotel. Voted the Best Deluxe Accomodation in Australia and the Best Luxury Hotel in Victoria the Como Melbourne is conveniently located only 10 minutes from the Melbourne CBD, the Royal Botanical Gardens and all of Melbourne's major sporting and entertainment venues. The Treasury City Edge Serviced Apartment Hotel Melbourne is superbly located in the quiet, leafy suburb of East Melbourne. Only a short walk from the Melbourne CBD, MCG and Melbourne Park tennis centre the Treasury City Edge Apartment Hotel enjoys an unrivalled CBD edge location. Experience the best elements of hotel style service and apartment style accommodation together with a friendly, personal touch. Very affordable apartment accommodation in a fantastic Melbourne location. The City East Motel Melbourne was originally known as the Abbotsford Inn and has been recently renovated to provide travellers to Melbourne with comfortable and friendly motel style accommodation. The City East Motel has a AAA rating of 3 ½ stars and is ideal for business people or couples looking to stay in Melbourne on a budget. Comfortable, clean and with great value discount rates the City East Motel Melbourne is also only a short drive from the MCG and Melbourne CBD. The Mantra 100 Exhibition Apartments offer spacious, modern 1 and 2 bedroom serviced apartment accommodation right in the heart of the Melbourne CBD. These Melbourne apartments are located near the ‘Paris’ end of Collins Street and they are close to numerous boutique shops, theatres, cafes and restaurants. Also the MCG, Crown Casino, Olympic Park and Rod Laver Tennis arena are only a short tram ride away. Situated in the heart of Melbourne’s city centre, the Mantra 100 Exhibition serviced apartments are within easy walking distance to most CBD corporate headquarters as well as providing an excellent base from which to visit Melbourne’s many tourist attractions. Riverside Apartments Melbourne offers guests a choice of 1 & 2 bedroom self contained apartments close to Crown Casino, Melbourne Exhibition & Convention Centres, Southgate and the Aquarium. Riverside Serviced Apartments are located in the CBD, occupying the top four floors of a modern 18 storey building and providing panoramic views over the Yarra River and city. The Riverside Apartments Melbourne provides holiday makers and business travellers with discount apartment accommodation in the heart of Melbourne, Victoria. The Quest East Melbourne is situated close to the Melbourne CBD, providing affordable studio serviced apartments that are ideal for both leisure & corporate guests. Quest East Melbourne is located just 200 metres from Melbourne's sporting icon, the MCG, 500 m from the Rod Laver Arena, a short stroll away is cosmopolitan Bridge Road, renowned for it's factory outlets and only 900 metres from the Melbourne CBD, making it ideal for business guests, shoppers and sporting fans. Easystay Serviced Apartments have 6 great locations in the bayside area of St Kilda, just 10 minutes to the city centre. Choose from our Premium Apartments at Abode, Standard Family Apartments, our affordable express apartments or the Bayside Motel in the heart of the action. Our cut price approach to accommodation puts more dollars in your pocket so you can enjoy your Melbourne holiday more. The Oaks WRAP Apartments on Southbank provides travellers with discount accommodation in the heart of the Southbank arts, entertainment, shopping and dining precinct of Melbourne. This unique accommodation also comes complete with a range of modern amenities such as child minding, direct internet access, faxing facilities, fitness equipment, lift, restaurant, steam room, tour desk, indoor pool and baby cots for families. The WRAP on Southbank Serviced Apartments is ideal for corporate business travellers and holiday makers alike. Ciloms hotel Melbourne Airport - Motel Accommodation 2 minutes from Melbourne Airport. Hotels / Motels Discount Rates and Availabilitys. Book direct and save. Ciloms Airport Lodge is the Melbourne airport hotel / motel. We are conveniently located only two minutes drive from the Airport in Melbourne, and offer all the comforts and conveniences you would expect and much, much more. The Flagstaff Motel Melbourne is a Motel superbly located in the Melbourne CBD. The perfect location for both the tourist and business client alike. Accommodation in this Melbourne Motel places you within easy walking distance of the Melbourne City Centre, and very close proximity to all the wonderful tourist attractions that Melbourne has to offer. Discerning travellers with lovethe Apartments Melbourne Domain not only because it has an enviable location in South Melbourne but alos because it provides them with discount accommodation complete with a range of modern amenities such as direct internet access, lift and security access. Boasting stunning exterior and interior architecture, outstanding amenities, exclusive on-site lifestyle and cultural services, Apartments Melbourne Domain promises a living experience without peer. When you stay at the Space Hotel in Melbourne you will be able to make use of the many guest facilities, which includes the disabled facilities, faxing facilities, guest laundry, fitness equipment, lift, tour desk and 24 hour reception. Specifically designed as a city hostel, the Space Hotel in Melbourne is able to offer budget conscious travellers the choice of spacious twin, queen and dorm rooms all with shared bathrooms. The Quest on Bourke is ideally located in the Melbourne CBD and provides holiday makers and business travellers with luxury 1 & 2 bedroom self contained apartments complete with spa baths and a fully equipped kitchen. Quest on Bourke Serviced Apartments location in the heart of the Melbourne CBD means that it is surrounded by world class restaurants, excellent city shopping and numerous theatres. Quest Southbank Apartments is ideally positioned close to the Melbourne CBD, Crown Casino, Arts centre and Federation Square. It offers guests the choice of luxury 1 & 2 bedroom self contained apartments with discount rates available for longer stays. The Quest Southbank Apartments Melbourne provides holiday makers and business travellers with discount apartment accommodation in a great Melbourne location. Citadines Melbourne on Bourke provides holiday makers and business travellers to Melbourne with discount studio, 1 & 2 bedroom self contained apartment accommodation. The Citadines Melbourne on Bourke offers stylish, modern serviced apartments which are ideally positioned in the heart of the Melbourne CBD. The Quest on Chapel is conveniently located in South Yarra close to the Melbourne suburbs of Toorak, Prahran, and Richmond. The Quest on Chapel Serviced Apartments provides prestigious, modern and stylish one and two bedroom apartments overlooking trendy Chapel Street in the heart of cosmopolitan South Yarra. Quest on Doncaster serviced apartments is not your average suburban hotel, offering budget studio apartments and fully self contained 1 bedroom apartments at discount rates in Melbourne's eastern suburbs. The Quest on Doncaster Apartments is the ideal accommodation for both holiday makers and corporate business travellers to Melbourne's East. The Comfort Hotel East Melbourne provide the holiday or business traveller with comfortable yet affordable hotel accommodation in the city fringe area of East Melbourne. The East Melbourne area displays the remants of the bygone gold rush era with wide streets, old elm trees, wonderful parklands and numerous historic buildings. Close to everything that Melbourne has to offer the Comfort Hotel East Melbourne is the perfect place to stay for your next visit to Melbourne. Rendezvous Hotel Melbourne CBD is a heritage listed, newly refurbished, luxury hotel accommodation in the heart of the Melbourne CBD. Ideally positioned close to Crown Casino, Telstra Dome, Melbourne Cricket Ground & Southbank the Rendezvous Hotel Melbourne provides discount hotel accommodation in the city centre for holiday makers and business travellers alike. The Royce Hotel is a truly luxurious accommodation experience. Situated on leafy St Kilda Road, right next to South Yarra and only a short tram ride from the Melbourne city centre and Southbank the Royce Hotel knows how to treat discerning leisure & corporate guests. With a range of quality hotel accommodation at discount rates, an award winning restaurant and luxury hotel & business facilities the Royce Hotel Melbourne is something that you have to expereince to believe. Quest on William provides travellers with discount accommodation in Melbourne CBD, complete with a range of modern amenities such as direct internet access, faxing facilities, guest laundry, lift, secretarial services, tour desk, baby cots available and daily housekeeping. Quest on William offers quality apartment accommodation with the convenience and service of a hotel in a fantastic Melbourne CBD location to suit the discerning corporate and leisure traveller alike. Amity Apartment Hotels South Yarra provides travellers with discount accommodation in South Yarra, complete with a range of modern amenities such as conference centre, direct internet access, faxing facilities, guest laundry, gym & fitness equipment, lift, spa, outdoor swimming pool, tour desk, baby cots available and babysitting service. The Quest SXY Apartments will ensure that guests always receive the best possible service and attention. Amity Apartment Hotels South Yarra will delight the most discerning leisure and corporate traveller. The Olsen Hotel is ideally located in the Melbourne suburb of South Yarra and offers the discerning corporate and leisure guest a choice of luxury studio suites and 2 bedroom apartments. This South Yarra Apartment Hotel embodys the inspirational architecture and opulent design which was inspired by a revered Australian landscape scenery artist. It provides a truly remarkable experience complete with modern furnishings, comprehensive in-room technology and quality hotel service. Quest Kew has affordable 1, 2 & 3 bedroom self contained serviced apartments that are a favourite with both leisure & corporate travellers. Located close to the Melbourne CBD the Quest Kew is a value for money alternative to traditional accommodation, offering guests a spacious apartment for the price of a hotel or motel room. The Parkroyal Melbourne Airport Hotel caters for business corporate travellers and holiday makers with discount accommodation right next to the Melbourne Airport. It comes complete with a range of modern amenities such as lounge bar, business centre, direct internet access, disabled facilities, faxing facilities, guest laundry, gym, lift, restaurant, room service, sauna, spa, tour desk, indoor pool, security, 24 hour reception, daily housekeeping and state of the art conference facilities. The Sandown Regency and Apartments provides a range of motel style accommodation rooms and discount serviced apartments for business and leisure guests. Located in Melbourne's South East and close to the Sandown racecourse the Sandown Regency and Apartment Hotel offers the budget conscious traveller with discount hotel accommodation in Melbourne, Victoria. The Ramada Encore Hotel Dandenong is a quality 4 star hotel accommodation that provides all of the hotel facilities that you would come to expect from a high class establishment. With great value for money discount rates available the Ramada Encore Hotel Dandenong provides both families on holidays and corporate business travellers with the ideal hotel accommodation in Melbourne's South East. The Quest Dandenong Serviced Apartments has a range of quality studio, 1 and 2 bedroom self contained apartments available which are ideal for both holiday makers and corporate business travellers. These serviced apartments are conveniently located in the heart of Dandenong close to restaurants, cafes, shops and markets. When you stay at the Redan Apartments in St Kilda you will be able to make use of the many guest facilities, which includes the direct internet access, free car parking, guest laundry, tour desk, airport shuttle, baby cots available and daily housekeeping. Redan Apartments provides quality studio apartment accommodation at an affordable price, making it ideal for the budget concious business, corporate client, leisure traveller or tourist. Whenever guests stay at the Apartments @ Docklands they will be able to make use of the many guest facilities, which includes the direct internet access, gym & fitness equipment, lift, massage, restaurant, outdoor swimming pool, baby cots and babysitting service. Apartments @ Docklands caters to corporate business guests through the provision of online capability via in-room internet facilities, making the Apartments @ Docklands your perfect choice for quality Melbourne city accommodation & serviced apartments. Situated close to numerous restaurants, cafes, boutiques, department stores and Melbourne’s Bourke Steet Mall the Collins Mark Apartments Melbourne provides you with easy access to everything that Melbourne has to offer. A short stroll away from the Collins Mark Apartments are many of Melbourne’s famous tourist attractions including the MCG, Federation Square, Telstra Dome, Crown Casino, Docklands and Southbank precincts. Great value apartment accommodation in a wonderful, central Melbourne CBD location. Quest Sanctuary Lakes provides travellers with discount accommodation in Sanctuary Lakes and comes complete with a range of modern amenities like business & conference centre, direct internet access, disabled facilities, faxing facilities, free car parking, guest laundry, fitness equipment, sauna, spa, tennis court, bbq and indoor pool. Combining personalised hospitality and extensive range of guest services, Quest Sanctuary Lakes offers the ideal business or leisure apartment accommodation. The Crossley Hotel offers travellers discount accommodation in the heart of the Melbourne CBD. It also has a range of modern amenities such as lounge bar, business centre, currency exchange services, direct internet access, faxing facilities, guest laundry, gym & fitness equipment, lift, massage, restaurant, room service, sauna, spa, tour desk, 24 hour reception and daily housekeeping. The Crossley Hotel Melbourne offer quality boutique accommodation at affordable rates in the heart of the Melbourne CBD. When you stay at the Carlton Apartments Residence in Melbourne you will be able to make use of the many guest facilities, which includes the direct internet access, guest laundry, gym & fitness equipment, lift, tour desk, airport shuttle, security and baby cots available. Business corporate facilities at the Carlton Apartments Residence include ADSL2+ broadband internet access in all apartments, faxing facilities and a photocopying service. For superior customer service, quality accommodation and a convenient location in Melbourne, stay at the Carlton Apartments Residence. The Docklands Executive Apartments provides travellers with discount accommodation in the new Docklands precinct. It also comes complete with a range of modern amenities such as gym & fitness equipment, lift, restaurant, sauna, spa, outdoor swimming pool, atm/banking, airport shuttle, security and baby cots available. The award winning quality built apartment complex has security access, intercom security and undercover security parking. The Docklands Executive Apartments are centrally located which makes it easy to get to by car, train, tram or ferry. If you are staying at the Habitat Apartments in Melbourne you will be able to make use of the many guest facilities, which includes the direct internet access, guest laundry, gym, lift, sauna, bbq, indoor swimming pool, security, baby cots & babysitting service. Corporate and elisure guests can stay in the heart of the Melbourne CBD in a self contained apartment for the price of a hotel room at The Habitat Melbourne CBD Serviced Apartments. Staying at the Quest on Lonsdale in the heart of the Melbourne city centre will allow you to take advantage of the many guest facilities, which includes the business centre, conference centre, direct internet access, faxing facilities, guest laundry, lift, restaurant, tour desk, baby cots, babysitting service and daily housekeeping. The Quest on Lonsdale Serviced Apartments offers quality, affordable apartment accommodation in the heart of the Melbourne CBD. Something that frequent travellers to Melbourne are aware of is that the Quest Carlton on Finlay provides guests with discount accommodation in the heart of Carlton. It comes complete with a range of modern amenities such as business centre, direct internet access, faxing facilities, guest laundry, lift, room service, secretarial services, baby cots, babysitting service and daily housekeeping. The Quest Carlton on Finlay Serviced Apartments offers affordable apartments in a fantastic Melbourne inner city location. The Mantra St Kilda Apartments provides travellers with discount accommodation on St Kilda Road, complete with a range of modern amenities such as direct internet access, faxing facilities, guest laundry, fitness equipment, lift, room service, secretarial services, 24 hour reception, baby cots for hire and daily housekeeping. With the convenience of Melbourne's tram network right outside your doorstep, the Mantra St Kilda Serviced Apartments welcome you to the heart of Melbourne and surrounding inner suburbs. Whenever you decide to stay at the Quest Moonee Valley in Melbourne you will be able to make use of the many guest facilities and well as getting discount accommodation in a great Moonee Ponds location. The property comes complete with a range of modern amenities such as free car parking, outdoor swimming pool and bbq facilities for use by all customers. Guests can take advantage of the outdoor swimming pool and BBQ area or take a short stroll to the vibrant Puckle Street cafe, restaurant and shopping precinct. When you choose to spend the night at the Quest Clocktower on Lygon Street Apartments in Melbourne you will be able to make use of the many guest facilities, which includes the guest laundry, lift, secretarial services, tour desk, baby cots for hore, babysitting service and daily housekeeping. There is also an extensive array of business facilities at the Quest Clocktower on Lygon Street including broadband internet access in all apartments, business administration services, faxing facilities and photocopying services. Discovery Melbourne Hostel provides budget conscious travellers with discount accommodation in the heart of the Melbourne CBD. This affordable backpacker hostel comes complete with a range of modern amenities such as lounge bar, faxing facilities, guest laundry, lift, restaurant, tour desk, bbq, airport shuttle, security, 24 hour reception, daily housekeeping, non smoking rooms, luggage storage, photocopying services, free wine & cheese nights, games nights, beanbag cinema, job agency, pool table, table tennis and darts. There are also local staff with the inside on things to do in Melbourne and Victoria. When you stay at the Quest Windsor in Prahran, Melbourne you will be able to make use of the guest facilities including the conference centre, direct internet access, guest laundry, lift, tour desk, baby cots and babysitting service. The Quest Windsor Melbourne offers guests that choice of 1 and 2 bedroom serviced apartments and takes great pride in offering you a personalised service that makes sure that you have everything you need for a comfortable stay. The Werribee Motel and Apartments provides travellers with discount accommodation in Werribee, complete with a range of modern amenities such as disabled facilities, free car parking, guest laundry, outdoor swimming pool, tour desk, bbq and garden area. Extra security includes key swipe entry and 24 hour video surveillance, and business facilities include WI FI internet connection in all rooms and apartments, facsimile facilities and photocopying services. When you stay at the City Edge Apartments North Melbourne you will be able to make use of the many guest facilities including child minding, faxing facilities, guest laundry, lift, tour desk, BBQ and baby cots available. Ideal for business or leisure, the City Edge North Melbourne Apartments offers all the comforts of home in a fantastic Melbourne location at very affordable rates. The Best Western Alexander Motor Inn Apartments provides travellers with discount accommodation in Essendon, complete with a range of modern amenities such as lounge bar, conference centre, direct internet access, faxing facilities, free car parking, guest laundry, restaurant, room service, tour desk, baby cots and daily housekeeping. The Alexander Motor Inn Apartments caters for business corporate travellers as well as offering great value for money in a central Melbourne location. The Clayton Monash Motor Inn provides travellers with discount accommodation in the South east Melbourne suburb of Clayton. It also comes complete with a range of modern amenities such as direct internet access, free car parking, guest laundry, room service, garden and daily housekeeping. Further guest facilities and services include friendly onsite management, a fully licensed bar, dry cleaning service, luggage storage and licensed room service. Bed and Breakfast at Stephanies provides travellers with discount accommodation in Williamstown, complete with a range of modern amenities such as lounge bar, conference centre, direct internet access, free car parking, guest laundry, gym & fitness equipment, sauna, spa, tour desk, bbq and garden. Bed and Breakfast at Stephanies is located within walking distance of all that Williamstown has to offer including public transport, the beach, restaurants and even transport if required. This Boutique Williamstown accommodation is ideal for a romantic getaway, holiday maker or corporate business traveller. When you stay at the Quality Inn and Suites Knox in Melbourne you will be able to make use of the many guest facilities, which includes the lounge bar, business centre, conference centre, direct internet access, faxing facilities, free car parking, guest laundry, gym & fitness equipment, restaurant, room service, spa, outdoor swimming pool, tennis court, tour desk, bbq and garden. Further services include a conference/meeting facilities and a business centre with secretarial services, facsimile and photocopying services. Whether travelling for business or leisure, Quality Inn and Suites Knox is guaranteed to satisfy. Quest Cheltenham provides travellers with discount accommodation in Cheltenham, complete with a range of modern amenities such as child minding, conference centre, direct internet access, faxing facilities, guest laundry, gym & fitness equipment, lift, secretarial services, tour desk, baby cots available, babysitting service and daily housekeeping. Whether you are staying for business, sport or pleasure - for one night, one week, one month or more, the Quest Cheltenham Serviced Apartments provide the accommodation solution to meet your needs. When you stay at the Glen Inn in Melbourne you will be able to make use of the many guest facilities, which includes the business centre, direct internet access, disabled facilities, faxing facilities, free car parking, guest laundry, restaurant, tour desk, garden and baby cots available. Affordable Glen Waverly accommodation doesn't get better than this, and you are sure to leave feeling rested and recharged and ready for your next journey. Easystay Apartments Raglan Street provides travellers with discount accommodation in St Kilda, complete with a range of modern amenities such as direct internet access, faxing facilities, guest laundry, tour desk and car parking. The Easystay Apartments Raglan Street provides self contained apartments in a fabulous St Kilda location making it the ideal place to stay for both business or leisure. The discount home away from home accommodation provided by the Quest Alphington Apartments comes complete with a range of modern amenities such as direct internet access, free car parking, bbq facilities in a landcaped garden setting and a babysitting service. 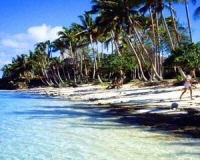 Perfect for the corporate business traveller, holiday maker or if you are a family relocating, renovating your house or need a place to stay whilst your insurance company fixes your home. The Quest Hawthorn provides travellers with discount accommodation in Hawthorn, complete with a range of modern amenities such as conference centre, direct internet access, guest laundry, gym equipment, lift, restaurant, tour desk, bbq, 24 hour reception, daily housekeeping, baby cots and babysitting service. Quest Hawthorn Studio Apartments take great pride in offering you personalised service, quality accommodation and making sure you have everything you need for a comfortable stay. When you stay at the City Park Hotel in South Melbourne you will be able to make use of the many guest facilities, which includes the lounge bar, business centre, conference centre, direct internet access, disabled facilities, faxing facilities, free car parking, guest laundry, lift, restaurant, room service, tour desk, 24 hour reception and even baby cots available for hire. The City Park Hotel Melbourne offers superior customer service, affordable rates and a fantastic location in Melbourne, ideal for business or leisure travellers alike. Quest Moorabbin Serviced Apartments provides travellers with discount accommodation in Moorabbin, complete with a range of modern amenities such as business centre, conference centre, direct internet access, faxing facilities, free car parking, guest laundry, fitness equipment, secretarial services, tour desk, bbq, garden, airport shuttle, babysitting service and daily housekeeping. Quest Moorabbin Serviced Apartments caters for business corporate travellers dedicated business services and an executive business desk in all apartments. The Quest Moorabbin Serviced Apartments are ideal for business or leisure travellers for overnight, short or long term stays. The Carnegie Motor Inn prides itself on providing travellers with discount motel accommodation in Carnegie. It comes complete with a range of modern amenities such as direct internet access, free car parking, outdoor swimming pool, airport shuttle and daily housekeeping. The Carnegie Motor Inn offers affordable and comfortable accommodation in a convenient Melbourne location. making it ideal for corporate business travellers and leisure guests alike. The Plum Apartments Carlton are the ultimate in affordable, quality apartment accommodation on the edge of the city centre. These discount studio and 1 bedroom apartments are ideally situated close to the many shops, restaurants and cafes of Melbourne’s world famous Lygon Street. The Plum Carlton Apartments are also only a short walk to the Melbourne CBD, RMIT and Melbourne university and with public transport on your doorstep the MCG, Federation Square, Crown Casino, Telstra Dome, Melbourne Park Tennis Centre and Victorian Arts Centre are not far away. Discount apartment accommodation in Carlton, Melbourne. Crystal Brook Tourist Park provides travellers with discount accommodation in Doncaster East, complete with a range of modern amenities such as direct internet access, faxing facilities, free car parking, guest laundry, outdoor swimming pool, tour desk, bbq, garden and baby cots available. Nestled in beautiful, safe parkland full of wildlife, with excellent facilities and a range of accommodation, activities and attractions to suit everyone, Crystal Brook Tourist Park is the ideal base for those wanting to explore nature but still in close proximity to the Melbourne CBD. The range of fully self contained apartments at the Quest Caroline Springs provides travellers with discount accommodation in the heart of Caroline Springs, in Melbourne's West. This property has a variety of modern amenities such as business centre, direct internet access, faxing facilities, free car parking, guest laundry, lift, tour desk, baby cots available, babysitting service and daily housekeeping. The Quest Caroline Springs Serviced Apartments provides everything that you will need to ensure a comfortable stay for both business and holiday travellers. Rupertswood Mansion provides travellers with discount accommodation in Sunbury, complete with a range of modern amenities such as business centre, conference centre, faxing facilities, free car parking, lift, room service, tour desk and baby cots available for families. When you stay at the delightful country estate that is the Rupertswood Mansion you can explore the tiny hamlets of Trentham and legendary Hanging Rock which offer bushwalking, horse riding and fishing. Rupertswood Mansion is just 12 minutes drive to Melbourne International Airport and Goonawarra Golf Club is a 5 minute drive away. When you stay at the Moonee Valley Views Apartments in Melbourne you will be able to make use of the many guest facilities, which includes the direct internet access, faxing facilities, free car parking, guest laundry and baby cots for travellers with young families. Ideally set amongst rose and camellia gardens and designed to meet all your accommodation needs the Moonee Valley Views Apartments provide you with serviced accommodation that is charming and affordable. The Econo Lodge City Square Hotel is ideally located in the Melbourne CBD within easy walking distance to many of the main city attractions. It also has numerous guests facilities for your convenience including guest laundry and lift. The perfect Melbourne CBD location and convenient access to public transport and businesses makes the Econo Lodge City Square the accommodation choice for the budget conscious business or leisure traveller. If you are needing to stay in Melbourne's West then the Mercure Melbourne Caroline Springs is a greta choice. It features numerous guests facilities for your convenience including lounge bar, disabled facilities, free car parking, gym, lift, restaurant, spa, banking facilities, indoor pool, security and daily housekeeping. Business facilities include high speed internet access in all hotel rooms and apartments, faxing facilities, photocopying services and meeting/conference facilities. This makes the Mercure Melbourne Caroline Springs the perfect venue for business, leisure, recreation and entertainment. When you stay at the Quality Suites Beaumont Kew in Melbourne you will be able to make use of the many guest facilities, which includes the lounge bar, business centre, conference centre, faxing facilities, free car parking, guest laundry, tour desk and daily housekeeping. This excepstional property is only 10 minutes drive east of the Melbourne CBD. The Quality Suites Beaumont Kew is the ideal choice for those not wanting the hustle and bustle of the Melbourne city centre, however having close access if need be. The Quest Frankston provides travellers with discount accommodation in Frankston Centre. Complete with a range of modern amenities such as business centre, child minding, conference centre, direct internet access, disabled facilities, faxing facilities, free car parking, secretarial services, outdoor swimming pool, tour desk, bbq, babysitting service and daily housekeeping. Combine this with Quest's personalised service makes Quest Frankston serviced apartments the perfect holiday escape to the Mornington Peninsula with award winning wineries and golf courses, glorious coastal national parks and cultural delights close at hand. When you stay at the Nunawading Motor Inn in the outer east of Melbourne you will be able to make use of the many guest facilities, which includes the lounge bar, conference centre, direct internet access, free car parking, guest laundry, restaurant, outdoor swimming pool, bbq and baby cots for families. There are also plenty of business facilities when you stay at the Nunawading Motor Inn including wireless internet access and conference/meeting facilities for corporate travellers. When you stay at the Beachside Apartments Bonbeach in Melbourne's south east you will be able to make use of the many guest facilities, which includes the direct internet access, landscaped gardes, luggage storage, cot hire and guest laundry. Perfect for holidays or extended stays, The Beachside Apartments Bonbeach gives you more than accommodation, it gives you a lifestyle. With alfresco cafes, restaurants, seaside shopping and sporting clubs in the area your stay in Bonbeach is sure to be enjoyable. Magnolia Court Hotel is an independent family-run accommodation establishment. Elegance and charm tucked away in trendy, East Melbourne. Set amidst prestigious and leafy historic houses a few minutes walk from Fitzroy Gardens reflecting the grand old streets from the days of the lucky strikes in the Goldfields. The transition from residential quiet to downtown excitement is virtually seamless. The Airport Motel Convention Centre is conveniently located only minutes from Tullamarine Airport and 20 minutes from Melbourne’s cosmopolitan Central Business District.Offering 106 comfortably appointed rooms, 24 hour courtesy airport transfers, short and long term car parking, Willowbrook restaurant and bar, heated swimming pool and spa, and a multi-functional conference/banquet facility. Manor House Hotel and Serviced Apartments Melbourne offers exclusive 1, 2 and 3 bedroom accommodation in Melbourne South Yarra. As part of this luxurious lifestyle, your amenities include a heated indoor pool, spa and gym equipment to meet your exercising needs. When you stay at the Holiday Inn Melbourne Airport in Melbourne you will be able to make use of the many guest facilities, which includes the lounge bar, business centre, direct internet access, guest laundry, gym & fitness equipment, lift, restaurant, outdoor swimming pool, tour desk, airport shuttle, security, 24 hour reception and daily housekeeping. The staff at Holiday Inn Melbourne Airport realise you need to be relaxed to prepare for your flight ahead, and will do everything possible to ensure you can be yourself during your stay. The Quality Hotel Melbourne Airport is located only a few minutes from the Melbourne Airport terminal. We have a FREE Courtesy Bus that operates 24 hours a day between Melbourne airport and our hotel. The Quality Hotel Melbourne Airport is also situated close to local shops, restaurants, cafes and is only a 15 minute drive from the Melbourne CBD via the Tullamarine Freeway. Situated in one of Melbourne’s most prestigious inner city precincts the Docklands Serviced Apartments is within a short tram ride or walking distance to the Melbourne CBD, Telstra Dome, Federation Square, Southbank, theatres, galleries, retail stores and cinemas. Docklands Serviced Apartments brings a luxurious style to apartment accommodation in Melbourne with restaurants, bars and cafes at your front doorstep, breathtaking waterfront or city views from you private balcony, dishwasher, CD stereo system, TV/VCR or DVD in your apartment and use of the indoor heated pool, fitness centre with gymnasium and sauna. With all of these fantastic features the Docklands Serviced Apartments is ideally suited to cater for the needs of corporate travellers relocations or visitors looking for apartment accommodation in Melbourne. The Cube Serviced Apartments are ideally positioned in the heart of the Melbourne CBD and have been elegantly designed and furnished in a contemporary style for the convenience of all types of guests. This affordable leisure & corporate accommodation consists of beautifully appointed executive studio apartments close to everything that the city of Melbourne has to offer. Somerset on Elizabeth is centrally positioned in the heart of the Melbourne CBD and provides 4.5 star luxury self contained 1 & 2 bedroom apartment accommodation close to Melbourne's business, shopping and theatre centres. Because of it's close proximity to all Melbourne tourist and sporting attractions The Somerset on Elizabeth Hotel Melbourne provides holiday makers and business travellers with quality discount accommodation in Melbourne, Victoria. One and two bedroom serviced apartments located in bayside St Kilda, Melbourne. Close to public transport. Explore the delights of St Kilda beach, Acland Street and Fitzroy Street, Albert Park Lake, Melbourne Sports and Aquatic Centre, restaurants, bars and cafes are in plentiful supply. Stay longer and pay less! The Quest St Kilda Bayside Apartments is ideally positioned in the heart of Melbourne's bayside cosmopolitan suburb of St Kilda. The affordable studio, 1 & 2 bedroom apartments at the Quest St Kilda Bayside are fully self contained and feature everything that you will need to make you feel right at home. With discount holiday & corporate accommodation rates available and a location close to the famous St Kilda beach the Quest Bayside Apartments is a great place to stay. The Quest Jolimont in East Melbourne is situated on the verge of the Melbourne CBD and offers excellent guest services and facilities that cater to both the corporate business traveller and the holiday guest. The affordable 1 & 2 bedroom self contained apartments at the Quest Jolimont are situated on Wellington Parade South in the heart of East Melbourne, close to MCG, Melbourne Park Tennis Centre, Rod Laver and Hisense Arena. Katz Apartments provides travellers with discount accommodation in the heart if the Melbourne CBD, complete with a range of modern amenities such as direct internet access, lift and tour desk. With a fantastic Melbourne CBD location, excellent accommodation and affordable rates, the Katz Apartments are the ideal place to stay for your next Melbourne shopping holiday or business trip. The Herbert Street Apartments are located in a quiet area of St Kilda, directly opposite the St Kilda Botanical Gardens. These budget St Kilda apartments put you right next to the cosmopolitan shops, restaurants and nightlife of Acland Street and the fabulous St Kilda Beach. The Herbert Street Apartments are very neat and comfortable and feature a separate lounge area, fully equipped kitchen, separate bedroom and even a washing machine and dryer in the apartment. Discount apartment accommodation in the heart of St Kilda which is ideal for longer stays. The Quest Royal Gardens Apartments are located in the Melbourne suburb of Fitzroy, which is only 1kms North of the CBD. The quality 1 & 2 bedroom serviced apartments at the Quest Royal Gardens are fully self contained and when you combine this with the discount rates for longer stays this makes this Melbourne city fringe accommodation ideal for leisure, sporting, corporate and family travellers. Quest Williamstown North is uniquely located on the shores of Port Phillip Bay and the Jawbone Nature Reserve. The quality 1 & 2 bedroom self contained serviced apartments at the Quest in Williamstown North are only a short drive from the Melbourne city centre, numerous businesses and the waterfront area of Williamstown itself. The Georgian Court Bed and Breakfast is a budget East Melbourne hotel motel that profides discount rates for leisure, sporting & corporate accommodation close Melbourne CBD, MCG and Melbourne park tennis centre. The Georgian Court B&B in East Melbourne offers a rare opportunity to experience traditional Bed & Breakfast accommodation within walking distance of the Melbourne CBD. Mantra Bell City Preston is a brand new, luxury hotel studio apartment accommodation that is sure to impress the discerning traveller. Located in the heart of Preston and close to the Melbourne CBD the Mantra Bell City Hotel Melbourne provides families, couples and individual travellers with luxury hotel accommodation in Melbourne at discount rates. Rydges is a boutique property that provides contemporary hotel accommodation in St Kilda complete with designer furnishings and fittings throughout. Situated only a short 5 minute stroll from the beach and comes with complimentary access to the St Kilda Sea baths at the South Pacific Health Club. The Rydges St Kilda Apartments Melbourne provides holiday makers and corporate travellers with discount hotel rooms in St Kilda, Melbourne. Situated in Abbotsford and close to the MCG, Melbourne park tennis centre, shopping on Bridge Road Richmond and the Melbourne city centre the Opium Den Hotel Melbourne provides budget conscious holiday makers and business guests with a cheap hotel accommodation option that is sure not to break the budget. If you want to save money when staying in Melbourne for either a long term or short stay then the Opium Den Hotel in Abbotsford is definitely the place for you. The Cosmopolitan Executive Suites in ST Kilda is the newest in contemporary hotel style rooms and serviced apartment living situated right in the heart of St Kilda. At the Cosmopolitan Hotel we pride ourselves on our professional, yet relaxed service and we offer the very latest amenities with our client’s comfort the number one priority. Only a short walk away from the Cosmopolitan Executive Suite is the trendy Acland Street village with it’s many restaurants, shops, bars and cafes. Also close by are the famous St Kilda beach, Luna Park, Albert Park grand prix track and the Melbourne CBD. Stay at the Cosmopolitan Apartment Hotel and enjoy all that vibrant St Kilda has to offer. Punt Hill Oakleigh Apartments are located just 14 kilometres south-east of Melbourne city centre and 500 metres from the famous Chadstone Shopping Centre. Punthill Oakleigh has a selection of studio, 1 and 2 bedroom modern apartments that are fully self contained and beautifully appointed with their own balcony. These Oakleigh apartments also include free car parking anf the use of the spa and gymnasium. The complex includes a contemporary restaurant and has numerous pubs and cafes only minutes away. Mantra on the Park provides quality serviced luxury 1 & 2 bedroom self contained apartments in Melbourne. Overlooking the Carlton Gardens, the Mantra on the Park offers luxury serviced apartments which are an ideal base for your next Melbourne getaway or business trip to the city centre. The 140 Little Collins Apartment Hotel in the Melbourne CBD offer quality 1, 2 & 3 bedroom self contained apartments and loft accommodation at discount rates. The 140 Little Collins Apartment Hotel Melbourne provides holiday makers and business travellers with discount apartment accommodation in Melbourne, Victoria. The Adara Apartments provides guests with luxury studio, 1 and 2 bedroom serviced apartments that are fully self contained and located at the Paris End of Collins Street in the heart of ther Melbourne CBD. The Adara Apartments provide holiday makers and corporate travellers with discount accommodation in Melbourne, Victoria. The Cullen Hotel is Melbourne's newest luxury boutique hotel. It is a top class concept hotel that provides holiday makers and business travellers with studio apartment accommodation that is ideally located in the fashionable suburb of Prahran, close to the shopping and restaurant precincts of Chapel Street and Toorak Road. The Quest East St Kilda is set off the street and on acres of landscaped gardens in the inner city suburb of East St Kilda. With a selection of King Hotel Rooms, Executive Queen Spa Suites and 1 Bedroom self contained serviced apartments Quest East St Kilda provides quiet and secluded holiday & corporate accommodation for alltypes of travellers. The Quest Glen Waverley is a purpose built serviced apartment complex that is located in Melbourne's eastern suburbs. This Glen Waverley accommodation offers both holiday makers and business travellers the choice of studio apartments, as well as 1 & 2 bedroom self contained serviced apartments with discount rates available for longer stays. Quest Fairfax House is ideally located in the heart of the Melbourne CBD and provides holiday makers and business travellers with the choice of quality studio apartments, as well as 1, 2, & 3 bedroom self contained apartments with a spaciousness not available in a city hotel. All of this at a discount rate for longer stays in the city centre. The Baden Powell Hotel is a budget hotel located in the inner city suburb of Collingwood. The Baden Powell Hotel offers guest accommodation rooms for short term accommodation, located above the lively pub and accessed via a private side entrance. They are ideal for the budget conscious traveller and backpacker. The Knightsbridge Apartments East Melbourne are within easy walking distance to the MCG, Tennis Centre, public transport and the CBD, which is just a short stroll though the beautiful Fitzroy Gardens. A 5 minute stroll from the Knightsbridge Apartments will take you to cosmopolitan Bridge Road Richmond, with it's many Fashion Outlets, Restaurants, Cafes and the Epworth Hospital. Punt Hill Dandenong Apartments sits prominently in the heart of Lonsdale Street in the heart of the Dandenong city centre. It is situated 36 kilometres south-east of Melbourne CBD and provides business and leisure travellers with contemporary and stylish studio, 1 and 2 bedroom fully self contained apartments that are sure to meet your every needs. The Chifley Doveton Hotel is located close to the Dandenong city centre and a 25 minute drive from the Melbourne CBD along the Monash Freeway. This luxury Doveton hotel has corporate business accommodation available as well as catering to the needs of relatives visiting friends in Melbourne's South East and leisure holiday travellers. Located on the fringe of the Melbourne CBD in the picturesque suburb of St Kilda, Quest on St Kilda Road Melbourne provides both leisure holiday guests and corporate business travellers with the choice of 1 or 2 bedroom serviced, fully self contained apartments close to everything that St Kilda and Melbourne has to offer. The Footscray Motor Inn offers motel suite accommodation in Footscray, only 10 minutes from the Melbourne CBD, Docklands and the Ethihad Stadium. With discount rates available online the discerning business or leisure guest will really appreciate the facilities and savings that they will get from the Footscray Motor Inn Melbourne. Alto Apartment Hotel On Bourke provides hotel and apartment style accommodation in the heart of Melbourne CBD. Choose from our range of quality accommodation including studio, 1, 2 and 3 bedroom self contained apartments and contemporary hotel rooms. Blending the late 19th century building facade with modern and stylish interior design, Alto Apartment Hotel on Bourke is ideal for both business and leisure tourists to Melbourne. If you are looking for quality apartment accommodation on the edge of the city centre then stay at the British Apartments North Melbourne. These new, modern apartments are ideal for both short stays in Melbourne and those travellers looking for somewhere comfortable to stay for an extended period. The British Apartments in North Melbourne are close to public transport, the Royal Children’s and Women’s Hospitals and the Melbourne CBD. These Melbourne apartments are also the ideal accommodation for the Spring Racing Carnival, when their close proximity to the Flemington Racecourse. Affordable apartment accommodation in North Melbourne. The Beaconsfield Beach Apartments are located on Melbourne’s premier beachfront palm-lined boulevarde Beaconsfield Parade. Situated right across from the beach you can sit back and relax on your private balcony and enjoy the refreshing sea breeze from across the bay. If you take a short 2 block walk from the Beaconsfield Beach Apartments you will find youself at the famous Fitzroy Street cafe and restaurant strip. All of our modern studio style apartments are self-catering and feature a kitchenette, ensuite bathroom, balcony and laundry facilities are also available. 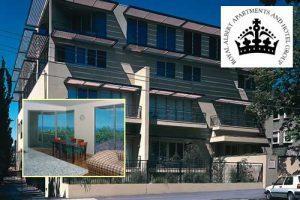 Great value for money apartment accommodation in St Kilda, Melbourne. The Hotel Claremont South Yarra is a tastefully restored 1886 Victorian Guest House, offering discount Melbourne accomodation for the budget conscious traveller. Our hotel is located in the heart of South Yarra, Melbourne’s style and fashion capital, and is only 100 metres from the famous Chapel Street. The Hotel Claremont is surrounded by cafe’s, restaurants, shops, cinemas, galleries, antiques, pubs and night clubs, all of which are within easy walking distance. Punt Hill Serviced Apartments on Little Bourke are located in the heart of Chinatown, in the Melbourne CBD. They offer a choice of studio, 1 and 2 bedroom apartments, within easy walking distance from Melbourne’s famous department stores and the Queen Victoria shopping and restaurant district. Punt Hill Serviced Apartments on Little Bourke is also adjacent to Her Majesty’s Theatre, the Princess Theatre and is surrounded by numerous restaurants in the Chinatown precinct. The Quality Inn Toorak Manor is ideally located on the edge of South Yarra and Melbourne's most prestigious suburb, Toorak. It is an elegant boutique hotel that us set in a gracious nineteenth century Victorian mansion complete with an enchanting landscaped garden, vaulted ceilings and tranquil breakfast room. The Parkside Inn Motel and Conference Centre is a purpose built complex perfect for conferences, meetings, seminars, board meetings, training sessions and corporate functions with a range of quality motel accommodation available. The Parkside Inn Motel and Function Centre Hotel will delight all types of travellers to Melbourne with discount rates available for longer stays. Punthill’s Manhattan serviced apartments are situated on Flinders Lane in the Melbourne CBD. The apartments are a short stroll from most of Melbourne’s famous tourist attractions and sporting venues. Punt Hill Manhattan offers a range of 1, 2 and 3 bedroom serviced apartments, all of which have full kitchen facilities, laundry facilities, direct internet access and include the use of the hotel’s spa, gym and fitness equipment. Motel Maroondah provides travellers with discount accommodation in Mont Albert, complete with a range of modern amenities such as direct internet access, free car parking, baby cots available and daily housekeeping. The Motel Maroondah offers affordable hotel motel accommodation, ideal for the leisure and corporate traveller alike in an excellent Melbourne Eastern suburbs location. Located on the Greensborough Highway on the corner of Torbay street the Greensborough Motor Inn Melbourne has many excellent restaurants situated nearby as well as Latrobe University Bundora Campus and the RMIT Bundora Campus. The Greensborough Hotel Motel Melbourne provides exceptional discount accommodation in the North Eastern part of Melbourne. Parkdale Motor Inn provides a variety of quality 3 star budget hotel accommodation, catering for all budgets and guests. The Parkdale Motor Inn is ideally located in the heart of Parkdale and offers holiday makers and business travellers discount hotel accommodation close to world famous golf courses and the bayside beaches of Melbourne. Melbourne's Princes Park Motor Inn is ideally positioned in Carlton and offers a range of motel room and studio apartment accommodation. Located just minutes from the Melbourne CBD, Melbourne University, Ethihad Stadium and Docklands the Princes Park Motor Inn will suite both leisure and corporate travellers with it's selection of hotel accommodation options. The Quest Mont Albert Serviced Apartments offers affordable 1 & 2 bedroom self contained apartments in Box Hill at discount rates. Quest Mont Albert Serviced Apartments is ideally located close to the Box Hill CBD and medical precinct as well as local suburbs including Doncaster, Bulleen, Surrey Hills, Balwyn and Kew. Best Western The Travel Inn Hotel in Carlton is situated close to the Melbourne CBD, Lygon Street, Melbourne parks, universities & hospitals. The Best Western The Travel Inn Hotel Melbourne provides holiday makers and business travellers with discount hotel accommodation in Melbourne, Victoria. Drummond Serviced Apartments Carlton is a 3.5 star studio and apartment accommodation that is ideally positioned close to Lygon Street, Queen Victoria Market, Melbourne University, RMIT University and the Melbourne CBD. The Drummond Serviced Apartments Carlton Hotel Melbourne provides holiday makers and business travellers with discount apartment accommodation in Melbourne, Victoria. Mercure North Melbourne is a 4 star hotel accommodation situated within close proximity to the Queen Victoria Market, Royal Children's Hospital, Royal Women's Hospital & the Melbourne CBD. The Mercure Hotel North Melbourne provides holiday makers and business travellers with discount hotel accommodation in North Melbourne, Victoria. The Docklands Prestige Apartments Melbourne offer a range of well appointed luxury apartment accommodation in Melbourne's fabulous waterfront precinct, Docklands. The helpful staff have a range of travel tips and information which even the most experienced traveller will find useful. The Docklands Prestige Apartments Melbourne provides holiday makers, families relocating to Melbourne and business travellers with luxury apartment accommodation in Docklands, Melbourne. The Apartments Ink in St Kilda is a brand new apartment accommodation that is situated in St Kilda close to Balaclava, South Yarra, South Melbourne and the Melbourne CBD. The Apartments Ink Hotel Melbourne will provide business executives and families with quality apartment accommodation in Melbourne, Victoria. The Buckingham International Hotel is located in Moorabbin, Melbourne and provides affordable motel motor inn accommodation at discount rates. The Best Western Buckingham International is a boutique hotel motel that ideally situated in the vicinity of Moorabbin Airport and in the heart of Melbourne's renowned golfing sand belt, just 10 minutes from world class courses such as Royal Melbourne, Huntingdale and Kingston Heath. The Chadstone Executive Motel Melbourne provides both business and leisure travellers with discount hotel accommodation close to Chadstone Shopping Centre. Located in Melbourne's eastern suburbs the Chadstone Executive Motel not only gives great access to Melbourne's premier shopping centre but also has easy access to Caulfield racecourse, the MCG and the Melbourne CBD via nearby public transport. The luxury hotel accommodation at the Rydges Brighton Beach Hotel is perfectly situated in one of Melbourne's most exclusive suburbs. Just a stones throw from the famous Brighton Beach the Rydges Hotel has been specially designed to offer both discerning leisure and business travellers with a quiet and relaxing place to stay in Melbourne. The Pensione Hotel Melbourne has been specifically designed to cater to the accommodation needs of the discerning budget conscious traveller. The Pensione Boutique Hotel Melbourne provides holiday makers and business travellers with discount hotel accommodation right in the heart of the Melbourne city centre. Quest Gordon Place Melbourne Apartment Hotel in the Melbourne CBD has a range of 4.5 star luxury studios, 1 & 2 bedroom apartments set in a delightful historic building. The Quest Gordon Place Hotel Melbourne is close to everything that the CBD has to offer, which makes it the ideal discount apartment accommodation in the Melbourne city centre. Punt Hill Grand Apartments is ideally situated in South Yarra, Melbourne and is a brand new state of the art apartment accommodation which has been deisgned to complement the cosmopolitan surroundings. This quality South Yarra accommodation is fully self contained and consists of studio apartments and 1 & 2 bedroom family sized apartments in the heart of South Yarra. They are ideal for both business & leisure travellers with discount rates available online for longer stays. Nomads Melbourne provides travellers with discount backpacker accommodation in the Melbourne CBD, complete with a range of modern amenities such as lounge bar, direct internet access, faxing facilities, free car parking, guest laundry, lift, tour desk, bbq, security, 24 hour reception and daily housekeeping. The Industry Bar & Lounge is a stylish & funky place to hang out and offers all guests a FREE nightly drink. With comfortable leather lounges, video juke box, fox sport showing premier league football, pool table, wireless internet and rear sun deck there is always good times to be had at Nomads Melbourne Backpacker Hostel. The Buckingham Brighton Apartments provides travellers with discount accommodation in Brighton, complete with a range of modern amenities such as business centre, faxing facilities, free car parking, guest laundry and baby cots available. The guest facilities and services at the Buckingham Brighton Serviced Apartments also includes luggage storage, photocopying service and FREE wireless Broadband in all apartments. The Clarion Hotel on Canterbury offers luxury apartment and hotel suite accommodation in Melbourne’s East. Our accommodation rooms have been beautifully appointed in a style that will meet the needs of the most discerning of executives. They also provide the perfect romantic escape for you and that someone special in your life. The Canterbury Hotel Melbourne is conveniently located in Melbourne’s East, at the gateway to the Yarra Valley and Dandenong Ranges, but is still only 20 mins from the Melbourne CBD. Accommodation in this luxury Melbourne hotel comprises spacious and luxuriously appointed hotel suites, with all of the facilities that you would expect from a Winner of the Flag Choice Excellence Awards for the Best 4 1/2 to 5 Star Property in Victoria and Australia. Armadale Serviced Apartments is located close to Chapel Street, Prahran with its vibrant atmosphere, fashion boutiques, shops, restaurants, nightlife and sidewalk cafes. Excellent access to the city and the St Kilda Road business district on Melbourne’s famous trams. Armadale are only one kilometre away and cosmopolitan South Yarra, Fitzroy Street, St Kilda and St Kilda Beach are also easily accessed. The Lifestyle Apartments Ferntree Gully are ideally nestled on at the foothills of the Dandenong Ranges and offer guests a tranquil and relaxing home away from home. The spacious, fully self-contained 1 and 2 bedroom apartments at the Lifestyle Apartments Ferntree Gully are the perfect base from which to explore the nearby Dandenong Ranges, Puffing Billy scenic railway or Yarra Valley wine region. Each apartment is thoughtfully furnished with all the necessities that you will require for your stay in Melbourne’s East and provides great value, luxury apartment accommodation. The Pullman Albert Park Melbourne provides luxury hotel rooms and hotel suites overlooking the beautiful Albert Park Lake and Formula 1 Grand Prix Circuit. At the Sebel Albert Park Hotel Melbourne both discerning holiday makers and corporate business execuitves will appreciate the extra special attention and facilities that they will get at this luxury hotel accommodation in St Kilda, Melbourne. Quest Docklands offers leisure and coporate business executives the choice of studio, 1 & 2 bedroom fully self contained apartments with discount rates available for longer stays. The Quest Docklands Apartments is ideally located close to Melbourne's premier attractions including the Etihad Stadium, Southern Cross Railway Station, Free City Circle Tram, Melbourne Aquarium, Victoria Harbour, Melbourne Convention Centre, DFO shopping outlet, Crown Casino and Entertainment Complex and New Quay restaurant precinct, with its a numerous dining options, bars and cafes. Mercure Melbourne Albert Park offers magnificent views of Albert Park Lake and golf course which is positioned directly opposite the hotel. All travellers staying at the Mercure Melbourne Albert Park can choose from a range of luxury hotel accommodation that is ideally located close to the restaurants, cafes and bars of Fitzroy Street in St Kilda and public transport to Southbank and the Melbourne CBD. Birches Serviced Apartments provides 4 star apartment & townhouse accommodation in East Melbourne, close to the Melbourne CBD, MCG, Rod Laver Arena, Crown Casino, shopping at Bridge Road & Queen Victoria Market. With great value discount rates available the Birches Serviced Apartments Hotel Melbourne is the ideal hotel accommodation in Melbourne for both leisure and business travellers. The Punt Hill Essendon Grand Apartments are located 9 kms north of Melbourne's city centre and are conveniently located between Melbourne's airports and the CBD via City Link. The brand new apartment accommodation at the Puthill Essendon Grand consists of 1 and 2 bedroom serviced apartments, architecturally designed with contemporary functionality each with its own balcony, modern kitchen, direct internet access and separate bathroom. Fantastic apartment accommodation in Melbourne’s north west. City Limits Apartment Hotel is located in the central business district of Melbourne right in China Town and within a stone's throw os the free city trams and trains, as well as most of Melbourne's sporting venues and tourist attractions. With hundreds of international restaurants within walking distance of the budget studios apartments provided by the City Limits Apartment Hotel holiday makers and business travellers with be well looking after when it comes to eating out. The Arrow on Swanston offers studio, 1 & 2 bedroom apartment accomodation in the middle of the Melbourne city centre. Located on Swanston Street these quality discount serviced apartments are ideal for business or leisure travellers who are looking for all of the comforts of home without the huge price tag for staying in such as central city location. The Jika International Motel Melbourne has quality hotel accommodation that ranges from standard hotel rooms to deluxe spa suites. This means that the Jika International Motel is able to provide holiday and business travellers with discount hotel accommodation in Melbourne, Victoria. The apartments at Sixty Two on Grey are housed within a grand Georgian Mansion which was built in the 1860's and still preserves its original character. A complete internal refurbishment, however, makes this four star boutique apartment complex ideal for those who prefer to stay in apartment living rather than hotel style. Each of the apartments at Sixty Two on Grey St Kilda have been tastefully decorated and include brand new ensuites, generous sized balconies or private courtyard, fully contained kitchenettes, TV, DVD, wireless broadband and ironing equipment. These studio apartments are situated in the heart of St Kilda, Melbourne and are only 2 minutes walk from the popular Fitzroy Street restaurants and shops and a 10 minute walk to the picturesque St Kilda beach. The newly renovated contemporary interior of Best Western The Tudor Box Hill creates a light and relaxing atmosphere for travellers staying in Melbourne’s East. With both hotel and 2 bedroom apartment accommodation the Best Western Tudor Box Hill provides affordable corporate and family accommodation in the heart of Melbourne's leafy eastern suburbs. Close to Melbourne CBD via Eastern Freeway, public transport, shops and restaurants. The Best Western The Tudor Box Hill is also the perfect place from which to explore Melbourne’s famous Yarra Valley vineyards and Healesville sanctuary. If you want luxury serviced apartment accommoation in Melbourne then stay at the Tribeca Serviced Apartments. Our spacious, fully self-contained 1 and 2 bedroom apartments are located in the elegant inner city area of East Melbourne, only 1km from the Melbourne CBD. The styishly appointed, boutique apartments at the Tribeca Serviced Apartments are ideal for both corporate and leisure visitors seeking quality, affordable apartment accommodation in Melbourne. For discount hotel and apartment accommodation in the Melbourne CBD stay at the City Garden Hotel which caters to the budget conscious business and leisure traveller. The City Garden Hotel Melbourne is ideally positioned in a fantastic, central city location and offers discount hotel accommodation for all types of travellers. The Oaks on Lonsdale Apartments is a brand new apartment accommodation situated in the heart of the Melbourne CBD. The Oaks on Lonsdale Hotel Melbourne provides holiday makers and business travellers with discount hotel accommodation in Melbourne, Victoria. Located 2 km from the city centre, you will be in the heart of Melbourne via the tram, conveniently located at your doorstep. Melbourne’s famous Lygon Street restaurants, Queen Victoria Market, Royal Children’s Hospital, Royal Women’s Hospital and Melbourne University are all within walking distance. Moonee Valley and Flemington Racecourses, the Zoo and Optus Oval are also short tram rides away. Back packers and the budget conscious travllers with appreciate the discount accommodation at the brand new Urban Central Backpackers which is ideally located in Southbank just minutes from the heart of the vibrant Melbourne CBD. The Urban Central Backpackers Melbourne provides holiday makers and tourists with discount hostel accommodation in Melbourne, Victoria. The BreakFree Bell City Hotel in Preston, Melbourne is a brand new, modern, quality 3 star hotel accommodation which is ideally positioned close to both the Melbourne CBD and the Melbourne Airport. With exceptional value cheap rates available online the BreakFree Bell City Hotel Melbourne provides the ideal discount hotel accommodation in Melbourne for the budget conscious business or leisure traveller. Space Hotel Melbourne is a modern, budget hostel offering travellers Melbourne city accommodation at discount rates. Perfectly positioned close to the Melbourne Central Station, public transport & Melbourne city shopping and nightlife the Space Hotel Accommodation Melbourne provides holiday makers and business travellers with discount hotel accommodation in the Melbourne city. Albert Park Boutique Manor Hotel is perfectly located just south of Melbourne's business district, with trams stopping right at the doorstep to take you into the city centre or to the restaurants and beach at St Kilda. The Albert Park Manor Boutique Hotel Melbourne has great value for money budget hotel accommodation in South Yarra which will suit holiday travellers and tourists. The Charsfield hotel Melbourne is arguably one of the most beautiful accommodation hotel and grand Victorian buildings in Melbourne CBD. This Melbourne hotel has been classified by the National Trust and boasts 44 luxury rooms, 2 conference rooms and lavish public areas. Charsfield hotel is perfectly located in St Kilda Rd Melbourne. Located 14 km from Melbourne’s city centre, Burwood is a great base to experience the Magic of Melbourne. Located close to Deakin University, Greenwood and Tally Ho Business Parks, Punt Hill Burwood is the perfect corporate location. In a short day trip you can also experience the Dandenong Ranges and the Yarra Valley. Five minutes drive to Box Hill Shopping centre and restaurant strip. The Stanton is a short tram ride to the city centre, Southbank, Crown Casino, Arts Centre, Toorak Rd, Chapel Street and the famous restaurant strip of Fitzroy Street, St Kilda The Grand Prix circuit, Albert Park Lake and Golf Course are all at your doorstep. The Stanton has a selection of spacious two and three bedroom apartments as well as an indoor heated lap pool, spa, sauna and gymnasium. Darling Towers Apartments Hotel has become established as the leading Melbourne supplier of apartments accommodation. With self contained studio, 1 and 2 bedroom apartments located on Collins Street in Melbourne’s CBD these serviced apartments provide the perfect place from which to discover all that Melbourne has to offer. Located on the fringe of the city, South Yarra offers famous Chapel Street and Toorak Road with it’s myriad of sidewalk cafes, restaurants, shopping, bars and clubs. Easily accessible from South Yarra are all of Melbourne’s famous attractions - MCG, Melbourne Park (Tennis Centre), Sidney Myer Music Bowl, Federation Square, Shrine of Remembrance and the Botanic Gardens. The Comfort Inn Hotel Melbourne offers a variety of accommodation, ranging from Standard hotel suites through to Family, Spa and Luxury suites. This Melbourne hotel is conveniently located on Princes Highway in Dandenong, close to the town centre. The Comfort Inn Dandenong Hotel Melbourne provides business travellers with discount hotel accommodation in the heart of the Melbourne suburb of Dandenong. The apartment accommodation at the Medina Apartments St Kilda provides a luxury place to stay in a fantastic Melbourne location. The Medina St Kilda Hotel Melbourne offers both holiday makers and the corporate business traveller with discount apartment accommodation in St Kilda, Melbourne.